An Event Experience to Remember! All the services you need to pull off unique and memorable event experiences. 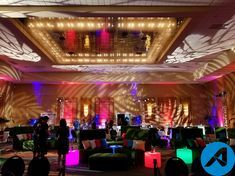 We fuse strategy, design, production and fabrication to carry your message throughout every component of your event. We’ll get back to you within 48 hours, guaranteed! Our clients include global organizations, along with many startups and associations.